Amid all the buzz on affordable housing, Dubai’s luxury property seems to be holding its own. And there are ample takers for higher priced properties in Dubai as well. In the first three months of 2017, transactions of Dh1 million and more made up 64 per cent of the overall compared with 47 per cent in Q1 2016, according to Reidin and GCP. The total volume of transactions in the Dubai prime residential market in Q1 2017 was worth Dh3.4 billion, according to deluxe property brokerage LuxHabitat. 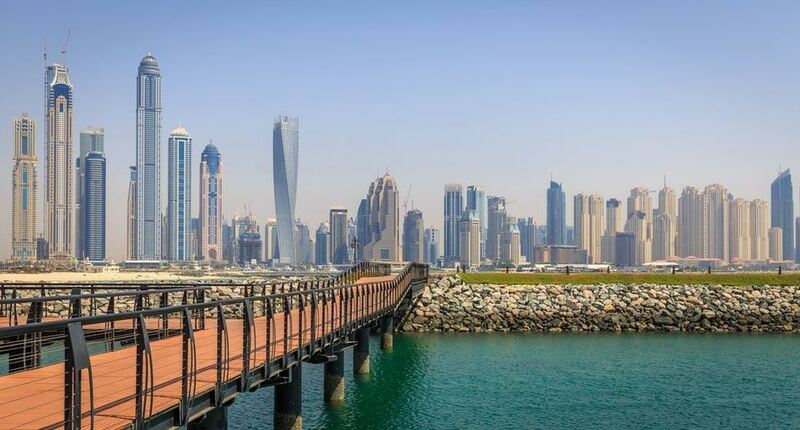 Apartment sales accounted for 70 per cent of these transactions, with the Dubai Marina transacting approximately Dh595 million, followed by Palm Jumeirah (Dh378 million) and Downtown Dubai (Dh290 million). Significant transactions in Q1 were a 10,806 square feet apartment at the Volante Tower on the Dubai Water Canal for Dh36 million, while a City Walk unit fetched Dh15.6 million. There was also interest in high-end villas, with Dh1 billion worth of villa transactions being registered in Q1. Of these, 43 per cent of transactions came from the Emirates Living areas, which includes Emirates Hills, Springs and the Meadows, and The Lakes. The most expensive villa transacted was a 7,924 square feet villa on the Palm Jumeirah for Dh67 million. “The residential market in Dubai continued to soften in 2016, albeit at a slower rate. Sale prices in the mainstream market dropped five per cent in 2016 versus seven per cent in 2015, while prices in the prime residential market declined four per cent in 2016 versus five per cent in 2015. Despite the annual dip in prices, however, the general and prime Reidin sale price indices remained flat on a monthly basis since August 2016. This leads us to believe the residential market is reaching its cyclical trough,” said Maria Morris, partner, residential sales UAE at Knight Frank. Demand for luxury off-plan real estate is currently outstripping supply. “In the prime segment, the limited supply and strong demand from high net worth investors [HNWIs] who view Dubai as long-term investment is expected to boost activity further over the second half of the year,” added Morris. According to ValuStrat, Downtown Dubai with several off-plan Emaar projects available, shows three times more off-plan transactions than ready property sales, Palm Jumeirah is one third off-plan and Dubai Marina is 40 per cent off-plan. There was a nine per cent increase in sales transactions for ready villas priced between Dh4 million to Dh6 million in Q1 2017 compared to the previous quarter. “We must also point out the recent sell-outs of luxury off-plan projects such as Emaar’s Downtown Views II and Dubai Properties’ La Quinta Villas in Dubailand,” pointed out Haider Tuaima, research manager, ValuStrat. In Dubai Marina, the most notable off-plan development announced was the Vida Residences in place of the Dubai Marina Yacht Club. “While we agree that the high-end market has seen value erosion, however, we must stress that capital values for this sector have been generally flat for the past two years, albeit with marginal declines. 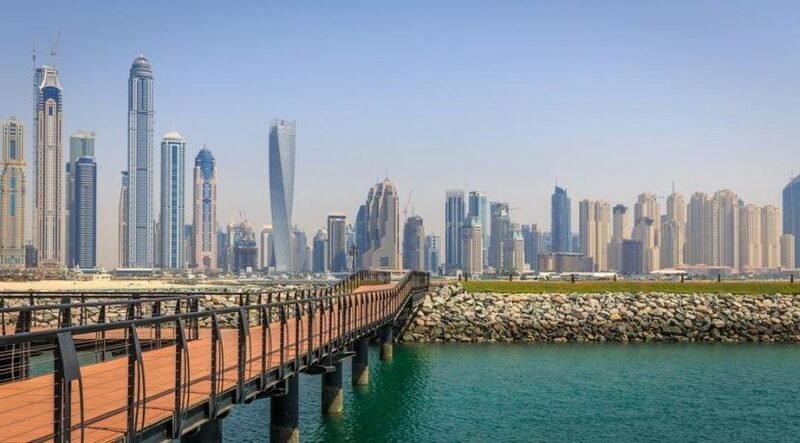 Downtown Dubai has begun its journey towards its 2014 peak, with a quarterly growth in capital value of 4.6 per cent and monthly growth rate of 5.2 per cent in March,” observed Tuaima. Prime locations such as the Palm, Emirates Hills and Downtown Dubai are still proving very popular with HNWIs. “We’ve seen an increase in demand from GCC countries and continental Europe. The rationale behind this is the geopolitical situation in the US, Europe and the UK. We have seen a significant uplift in demand for luxury off-plan property and at the same time, we have seen demand for secondary ‘ready’ property also remain very healthy,” said Jason Hayes, managing director of LuxHabitat. “The Palm Jumeirah is high on investor’s agenda, especially those looking for long-term capital appreciation, well-designed and good quality product in prime locations. Similarly, demand for property in locations closer to Metro stations or main highways and in close proximity to retail and entertainment offerings [e.g. Downtown] is still strong,” added Knight Frank’s Morris.